In two short years, Tikko has captured the hearts of thousands of people. What began as my child’s dream to make the world a better place for families living with autism, is now a passion that continues to grow every time Tikko travels. We know all too well the challenges in raising a child on the spectrum. 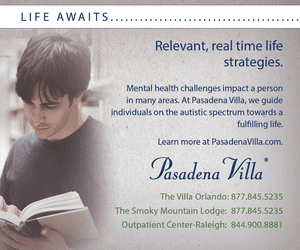 After seven trying years Dorian was finally diagnosed with Autism Spectrum Disorder (ASD). Being “high-functioning,” Dorian has advantages over many less fortunate; yet even today we struggle with melt-downs, low tolerance, tics, and aggressive behavior. Luckily for us, these occasions are less frequent now; as we cherish those special moments of hugs, affection, laughter, enthusiasm, and wonderment. Children on the spectrum don’t see the world as we do. I’ve come to realize that’s not a bad thing. 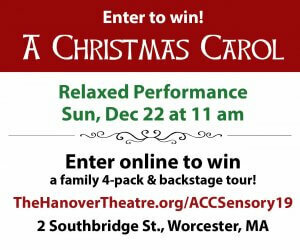 In fact, as a mom to a child with ASD, I feel privileged to catch a glimpse of Dorian’s world – a world where anything is possible…and dreams really do come true! 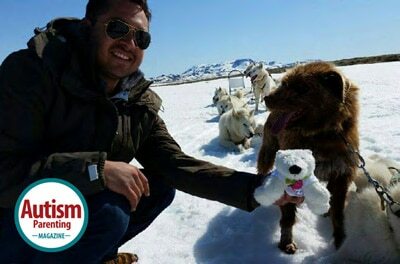 In January 2013, Dorian decided to send his Ganz Webkinz plush polar bear Tikko around the globe for autism awareness. Encouraging Dorian’s dream, I suggested creating a Facebook page where we could share photos from Tikko’s trips. Eventually this evolved into my researching autism in the countries Tikko visited. 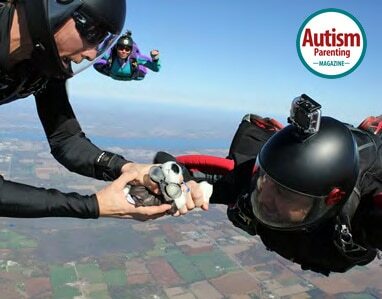 Our Tikko followers were now learning about the varying levels of support for autism throughout the world. It wasn’t long before we realized Tikko was making a difference; not just for families living with autism, but also for those who had no previous connection to autism. One lady vacationing with Tikko tearfully commented, “Bless you for doing this. I wasn’t able to have children of my own. I’m so thankful to be a part of this!” This was our first indication Tikko meant so much more than simply raising awareness. 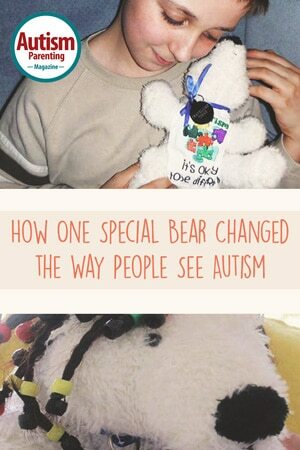 Tikko wears a t-shirt with an important message in rainbow colors (representing the spectrum) – “Autism…it’s okay to be different!” Tikko also wears a ribbon and tag “FIND ME ON FACEBOOK” which invites people back to his Facebook page. Tikko’s first trip was to Jamaica in February 2013. Tikko came home wearing dreadlocks! How wonderful! While raising autism awareness while on vacation, people were also being imaginative and having fun with Tikko™! As Tikko’s popularity grew, Dorian shared stories of Tikko’s adventures with his teachers and classmates at Missing Links, a school specializing in individualized programming for the education and treatment of children with ASD and other exceptionalities. Dorian’s love for Tikko and everything Tikko represents; HOPE, COMPASSION and COURAGE, gives Dorian a sense of purpose; pride, and a sense of achievement; knowing he is doing something worthwhile that will benefit others. As he matures, Dorian shares many of Tikko’s qualities. He’s loving, fun, and has a great sense of humor. By talking about Tikko, Dorian’s gained more confidence; made more friends; and found more balance in his life. For our family, it’s been an adventure! 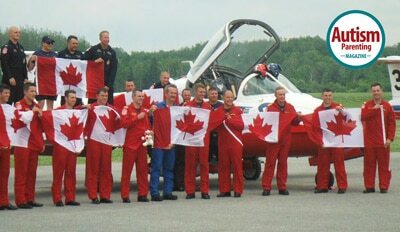 Some of our most favorite memories are: when Tikko sky-dived from an airplane while four seasoned skydivers played “Pass the Tikko™” at 10,000 feet; meeting Commander Chris Hadfield & the Canadian Snowbirds on Canada Day 2014 when Tikko flew with them over Parliament in Ottawa; Tikko parachuting solo from a kite at the Washington State Kite Festival 2014; bungy-jumping off the Macau Tower in China (the highest bungy jump in the world); when singer/songwriter Alessia Cohle was so inspired by Dorian & Tikko™, she, and her musical partner Brian Donkers wrote “Make A Change (The Tikko Song)” which Alessia sang at the Canadian Milton Italian Club on September 21, 2014 while 14 children on the spectrum took to a runway, modelling costumes native to where Tikko travelled (orchestrated by Kitsa Statti / Catwalk Girls Modelling & Makeup). During his travels, Tikko has met a lot of celebrities along the way; Ne-Yo (an American R&B singer, songwriter, record producer, dancer, and actor); Canadian actor (and Dorian’s cousin) Devon Bostick (aka Rodrick; “Diary of a Wimpy Kid” and CW’s “The 100”); Eliza Taylor, Lindsey Morgan, Ricky Whittle, Isaiah Washington (also from CW’s “The 100”); Ventriloquist Jeff Dunham; Canadian/American actor Jim Carrey; The Globetrotters…to name a few. Yet the relationships we cherish most are those we’ve built through connections; with those vacationing with Tikko; those offering support for our campaign; and with those we’ve yet to meet (in person) who hold a special place in our hearts. We know they feel the same. 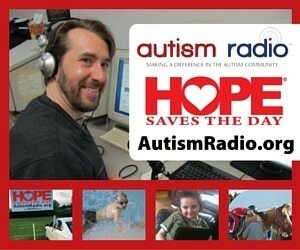 As we build our autism community (who we consider an extension of our family), our wish is to give them hope; hope for a brighter future; hope for acceptance; and hope for every opportunity for success! Tikko is building an international hub of support, love and compassion throughout the world. 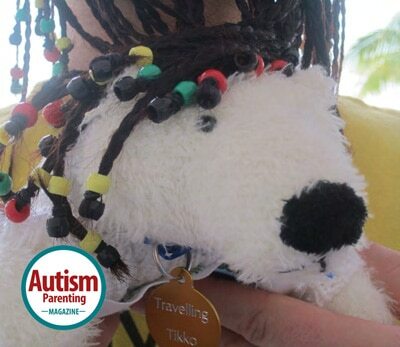 Christine Frances Poe is an autism advocate, writer, mother of two (one on the spectrum; one with ADHD) and owner of Tikko™; Tikko Travels™ and Travelling Tikko™. She joins her 11-year old son Dorian in an international campaign to raise Autism Awareness! 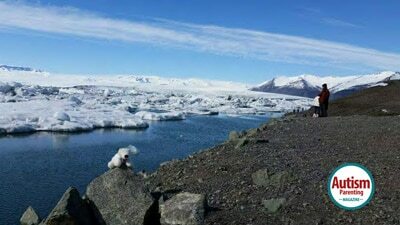 Deciding in 2013 (at the age of 9) to send his plush GANZ™ Webkinz polar bear “Tikko™” around the world, Dorian continues his dream of making the world a better place for families living with Autism Spectrum Disorder. 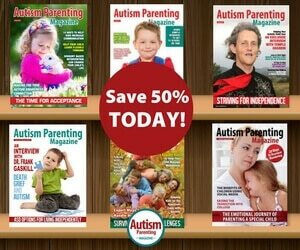 i also have a child on the spectrum, reading this story am encouraged thank you.